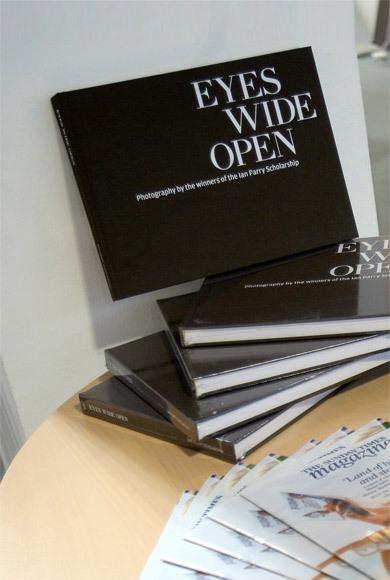 Eyes Wide Open was originally launched at Visa pour l’Image in Perpignan in September 2004. Covering the first 15 years since Ian’s death, the book contains work from the young photographers who were recipients of the award. This award helped to launch their careers, many of them have gone on to become some of the finest contemporary photographers working in our industry today. Stories by photographers Simon Roberts, Declan Shanahan, Harriet Logan, Marcus Bleasdale, Jeremy Sutton-Hibbert, Amelia Troubridge, Robbie Cooper, Jonas Bendiksen, Sam Faulkner, Leticia Valverdes, Ziyah Gafic and Leonie Purchas. The Book is a celebration of what the award has achieved in Ian’s memory. This limited edition hard backed 200 page book has been superbly designed by Tony Chambers, Creative Director of Wallpaper magazine, and Pete Winterbottom, Art Director of Conde Nast Traveller, with a forward by our patron Don McCullin. The book is now considered a limited edition and available on request. Aidan Sullivan, founder and friend.